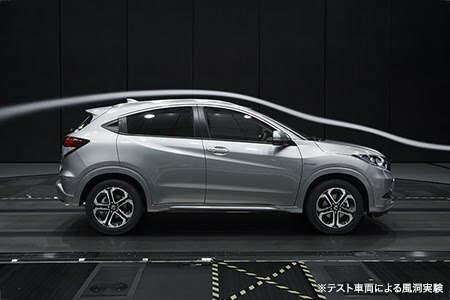 Upper body, a coupe and a sense of aero cabin to a narrower front and back, in a flowing silhouette, leading to the roof from the front. 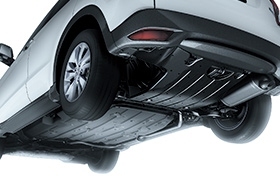 And bumper greatly stretched, the lower body, the strength of the SUV in the suspension of three-dimensional modeling. 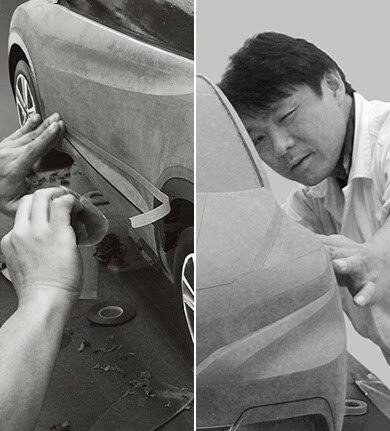 Fused in character dynamic lines run up to gouge the body to the side rear window from the front door, the two bodies up and down. Gives off a strong presence while compact, style of the one and only was born. 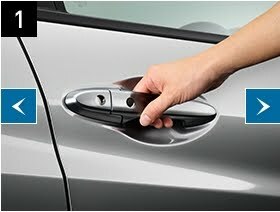 Enhance the sporty image, such as a 2-door coupe, Rear outer door handle was integrated with the window. 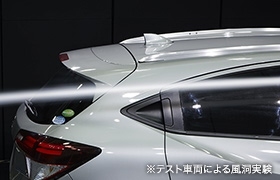 In addition to the aero cabin that was narrowed down to gently toward the rear, suppress flat under cover wind resistance is reduced and tailgate spoiler, which also reduces the entertainment of wind from the body side, the unevenness of the body bottom ※, Aerodynamic and even to adopt a shark fin antenna was newly developed in consideration for performance, or aerodynamic performance in pursuit of it thoroughly in detail, and raised "fuel efficiency" and "quietness". 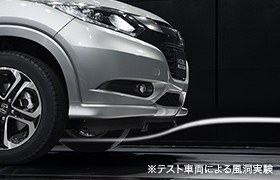 Further, it has won less sway at high speeds by not only reducing the air resistance, and to optimize the lift balance of the front and rear, also run with a sense of stability. ※ FF car. Also fitted to 4WD vehicles "engine under cover."